At the Law Office of Bjorn Brunvand in Clearwater, Florida, we are fully committed to helping you protect your rights and preserve your freedom in the face of serious and complex criminal charges. Our law firm's founder and managing partner, attorney Bjorn E. Brunvand, has earned a reputation as one of the leading criminal defense attorneys in the country. 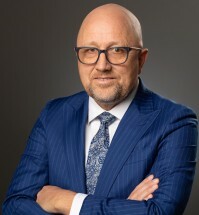 Certified as a criminal trial attorney, he has become a recognized leader in his field through his unprecedented success at defending the accused and through his involvement with numerous local, state and national legal organizations. Holding an AV Preeminent peer review rating* from Martindale-Hubbell, Mr. Brunvand is someone you can trust with your most sensitive legal matters, and he and our dedicated team of associates and staff promise to treat you with the dignity and respect you deserve as we work diligently to help you obtain the most favorable outcome possible for your situation. Do not delay in retaining the best legal counsel for your defense. The sooner you contact the Law Office of Bjorn Brunvand after your arrest, the better your chances of securing the positive results you seek. As an added measure of convenience, our law firm also offers fluent Spanish-speaking services for our Latino clientele.